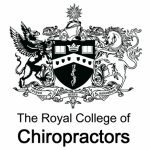 The RCC is a registered charity promoting professional excellence, quality and safety in chiropractic. We are an apolitical professional membership body of over 2800 members. The organisation promotes and supports high standards of education, practice and research, enabling chiropractors to provide, and to be recognised for providing, high quality care for patients. You can learn about the RCC on our about page. Providing access to over 1,200 full-text publications. Clinical Management Quality Mark information and award holders. The online system to record and submit your CPD. RCC CPD and PRT events and conferences. Information, registration and resources for the PRT programme. Patient Partnership Quality Mark information and award holders.